We hear a lot about the details of a cross-country ski racer’s day on race day, but what about those four or five days in between? What do World Cup racers do then, in the middle of the week? FasterSkier Norwegian contributor Aleks Tangen ventured to Lillehammer back in late November 2016 to find out. LILLEHAMMER, Norway — FasterSkier spoke with Bjornsen, Jessie Diggins, Andy Newell and U.S. Ski Team Coach Matt Whitcomb to see how they prepared for Lillehammer and in particular, the mini tour. Back in 2016, the three-day series consisted of a classic sprint on Friday, 5- and 10-kilometer freestyle races on Saturday and 10/15 k classic pursuits on Sunday. 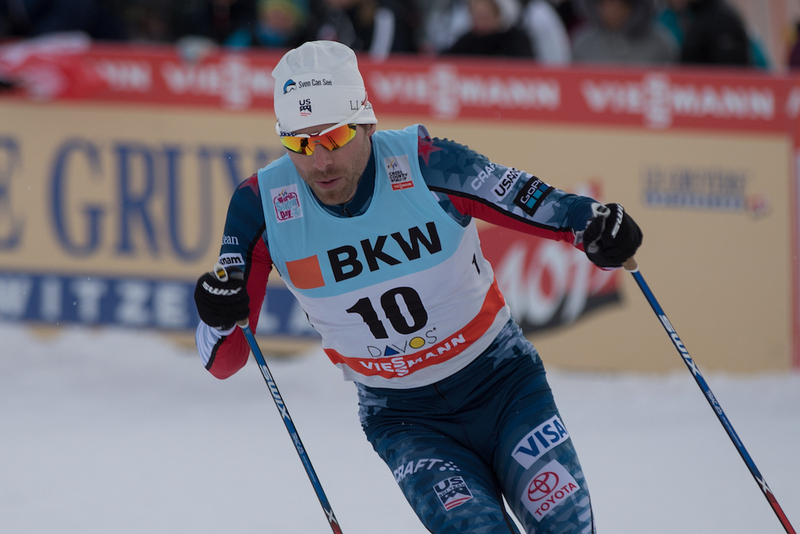 Whitcomb explained that on Wednesdays, in this case, two days before a race, it’s common for the athletes to do 90 to 120 minutes of light skiing in the morning and a strength session in the afternoon. On Wednesdays, in this case two days before a race, it’s common for [U.S. Ski Team] athletes to do 90 to 120 minutes of light skiing in the morning and a strength session in afternoon. Bjornsen, who placed 17th in the 2016 Ruka 10 k classic, did just that. She said this week that she thinks it’s possible to improve upon that performance and that she is looking for more. This week, Bjornsen opted for a distance ski with some speed. She also did speed work on the course to familiarize herself with the transitions and plan where to change gears. 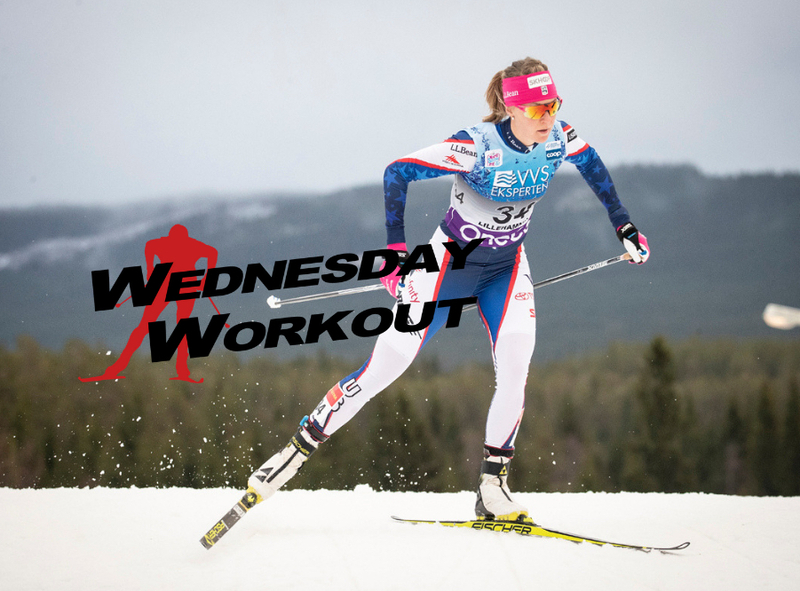 Her teammate Diggins chose a similar kind of workout on the trail leading to Sjusjøen, for 90 minutes of easy skiing. Asked on Wednesday what goes through her mind during a training session two days before a race, Diggins said it doesn’t have much to do with the race itself. Diggins said her schedule amounts to roughly 750 training hours a year, but she warned against looking too far into those numbers. According to Whitcomb, Diggins “is in a great state of fitness. … She’s just a really hard worker who does what she needs to do during workouts. She has also gotten to a point where she absorbs her training really well,” he explained. Newell met with FasterSkier on the Thursday before the race to talk about his preparations. Normally he would do some form of threshold training “like 3 x 8 minutes and some shorter speeds, just to get a feel for the track,” but this Wednesday, things didn’t turn out quite the way he had hoped. Newell skipped training to treat a cold that had been brewing since last Thursday. “I might have gotten sick from traveling” he said. If he had been training, his race-prep day would have likely included an hour of skiing, with ski testing (maybe four or five pairs) for the first 45 minutes. “Once I find a good pair, we usually get together as a team and ski the lap, once at 70 percent of max and once at 90 percent.” Newell said of previewing the course. When asked about how he balances recovery and fitness, Newell’s answer was similar to that of Diggins and Bjornsen. He said it’s about feeling good before the races, and since the races are like hard workouts, what matters in the time in between is to recover well enough in order to feel good when you’re on the starting line. And how does nutrition factor into this equation, especially considering you’re in a different country every week? “I am trying to be careful with the cold I have now. I know I can be among the strongest in the world and I try not to think about place, but instead feeling strong and take one race at the time,” he said.